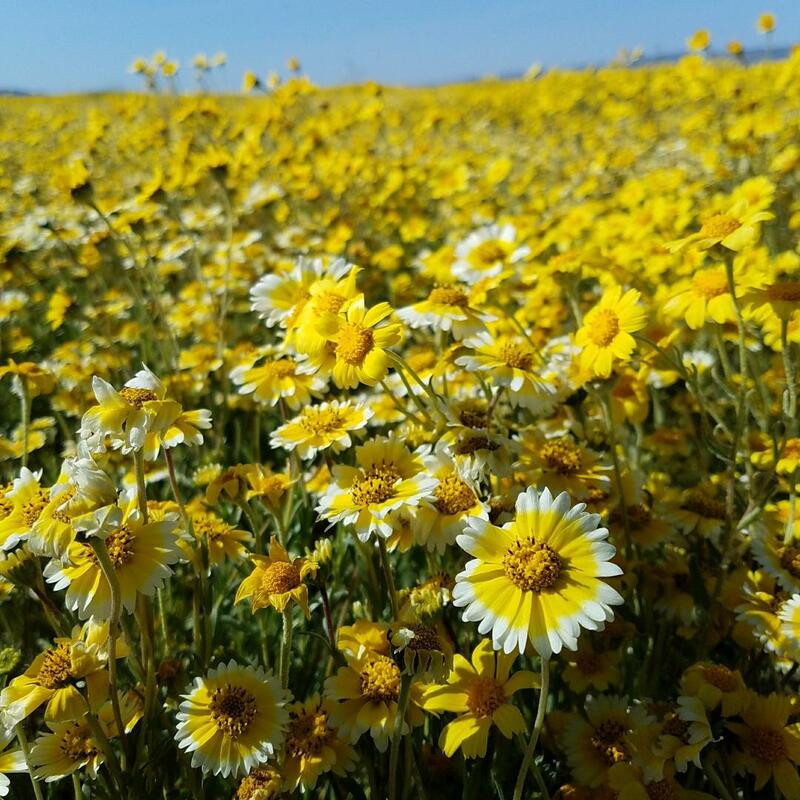 The wet winter in California is hinting at a big flower season for the places with lots of spring annuals. Any rumors yet? Not hearing anything yet, but yes.. anyone with an interest in seeing / studying the diversity of them should probably start planning some trips.. I'd anticipate this should be a big year across the state, including in the deserts, and in accessible areas which were effected by last years' wildfires..
With the current weather pattern also sending us here in AZ more rain than in recent years, and based upon what i have already seen flowering early out on some trails ( and in my yard ), spring wildflowers should also be good here as well, especially up in the foothills north and east of Phoenix, and areas around Tucson. Deserts west and southwest of Phoenix are questionable.. but they've also benefited this year rain-wise. The one caveat this year is the heat, at least here.. Stays mild /warm but not rushing into the 90's + through April, flowers will hang around longer, especially if we're still getting some showers through that time. 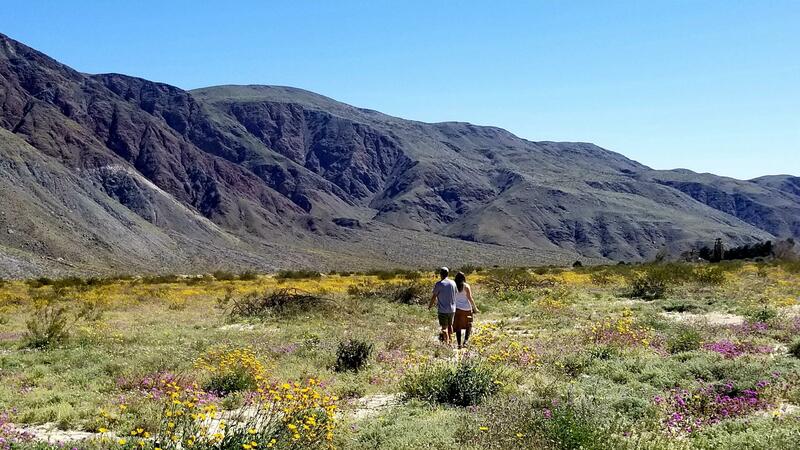 Start planning, and have those cameras ready..
** A quick amendment to the above post, updates from Desert USA's Desert Wildflower Reports are already reporting good, early shows in Anza Borrego, Joshua Tree NP, other parts of Southern CA, around Phoenix, and down in Tucson. Gotta get busy fast. Tucson and Anza Borrego are good targets. From Florida, the cheapest flights are always to LAX, but who wants to go there? I'd think flying into Sky Harbor, (Phoenix) or directly into Tucson would be cheaper from FL, vs. flying further west to LAX. Especially if your ideal itinerary were spending the day / a couple days exploring Tucson / areas close to Tucson, than making a trip down i-8 to explore Anza Borrego and maybe Joshua Tree, if time permitted.. then perhaps heading back to Phoenix to fly back home.. Not too bad on time.. Worst traffic would be around Phoenix.. You could also opt to fly home from San Diego ( just west, over the hill from Anza Borrego) and maybe take an extra day to do some quick exploring there before leaving. Orlando-Los Angeles is busy and highly competitive. There are tight business links between the two urban areas. As in Disney, Universal, and some Defense and Space companies. Regrettably, it's a yucky airport to fly into if your aim is to escape the urban mess (apologies to local residents). Yeah, I'd plan, if I didn't live here. Anyone been to Carrizo plains before for super blooms? I would love to take my family camping to see it and take the scenic route through the mountains. 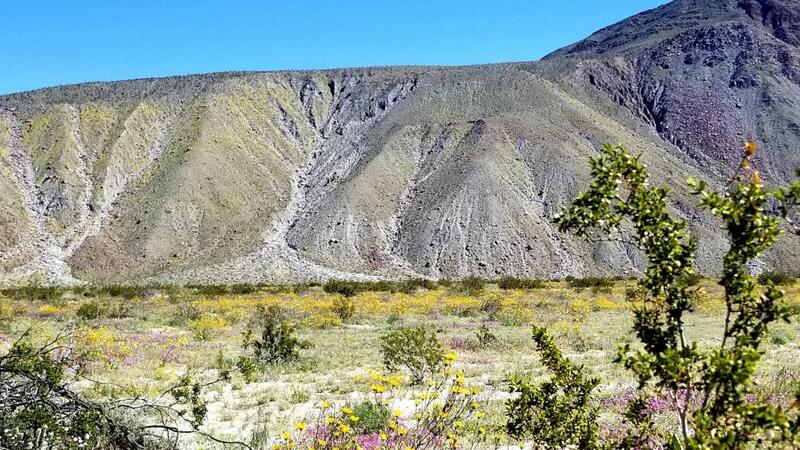 Keep an eye on the wildflower report updates from Desert USA, and C.P. Monument's Facebook / Twitter pages. I'd suspect if the area keeps getting periodic rain, esp. if storms over the next 3-5 weeks are mild, followed by a stretch of not too cold / too warm too fast days, the area should start really lighting up starting sometime around mid-March.. Saw an article related to the potential for another big season there, and at the Poppy Preserve this afternoon. 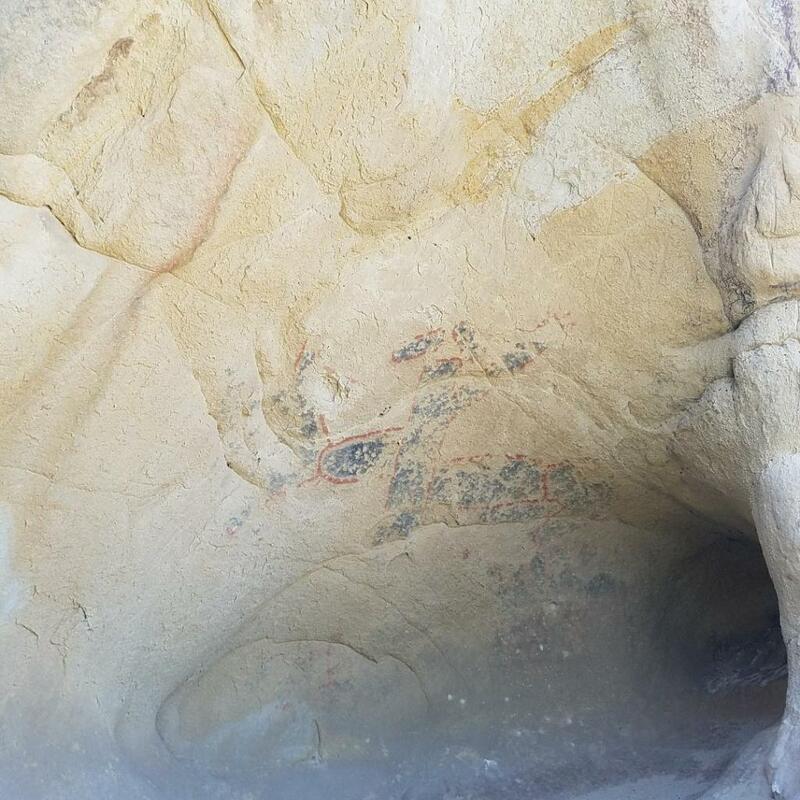 KTLA had another article discussing what are looking like great prospects for Anza Borrego today also. 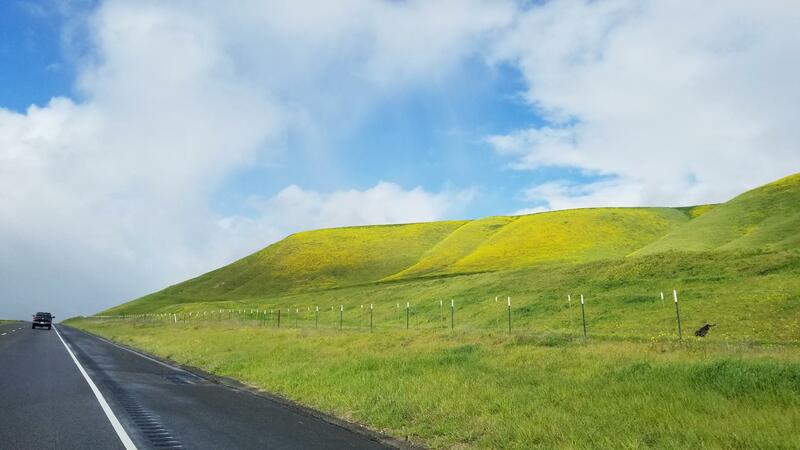 I was in Carrizo in 2017 during the super bloom. I'll look for pics to upload. Layia platyglossa as far as the eye could see. And there is quite a bit of ancient art on many of the rock formations there. Thanks @Josue Diaz, That looks spectacular. Now I need to figure out when to go. Would you happen to know what area exactly to go to find the different patches of color? I don't remember where I saw it but I remember one picture where the hills looked like they were painted different colors. Not quite sure actually. 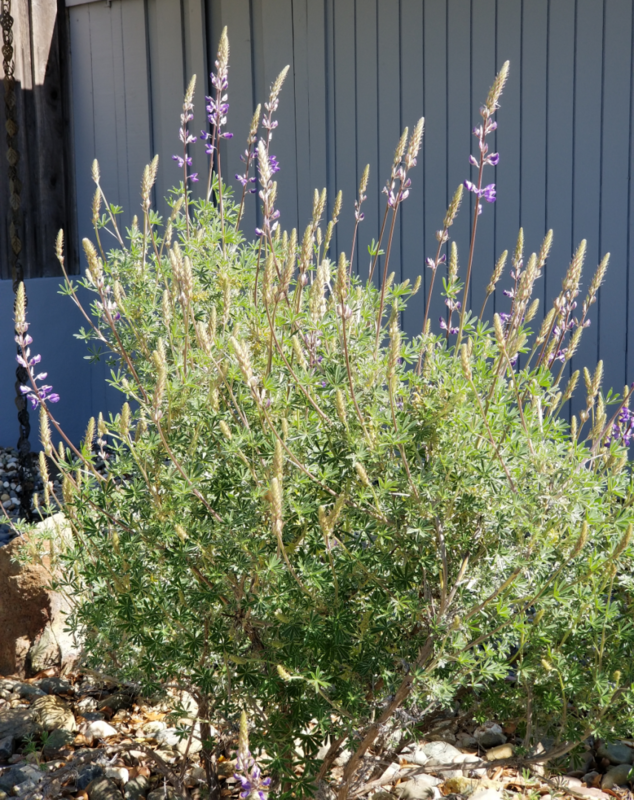 Salvia and lupinus albifrons are blooming now, but the fields of the annual lupine might be sometime in the spring. March tends to be a wet month in general, so I would say early to mid-April might be when all the annual wildflowers go into a riot. This was carrizo. Carrizo vegetation is a little different from Sierra Nevada foothill vegetation. 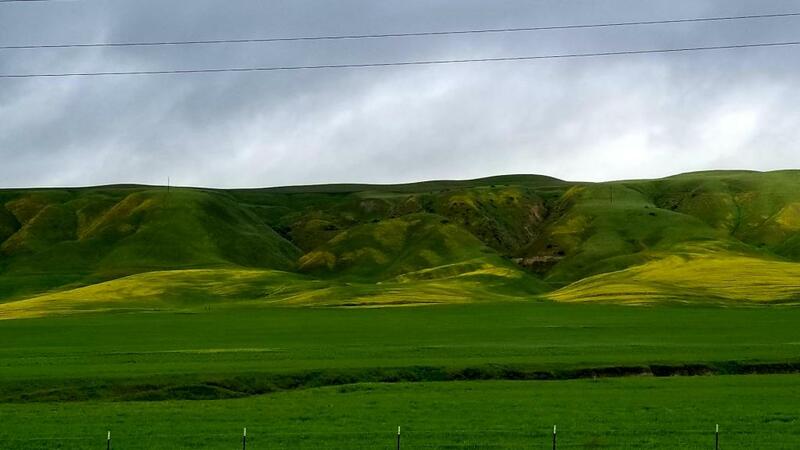 This is in the hills east of Fresno after a rainy year. Notice the endless brodeia. 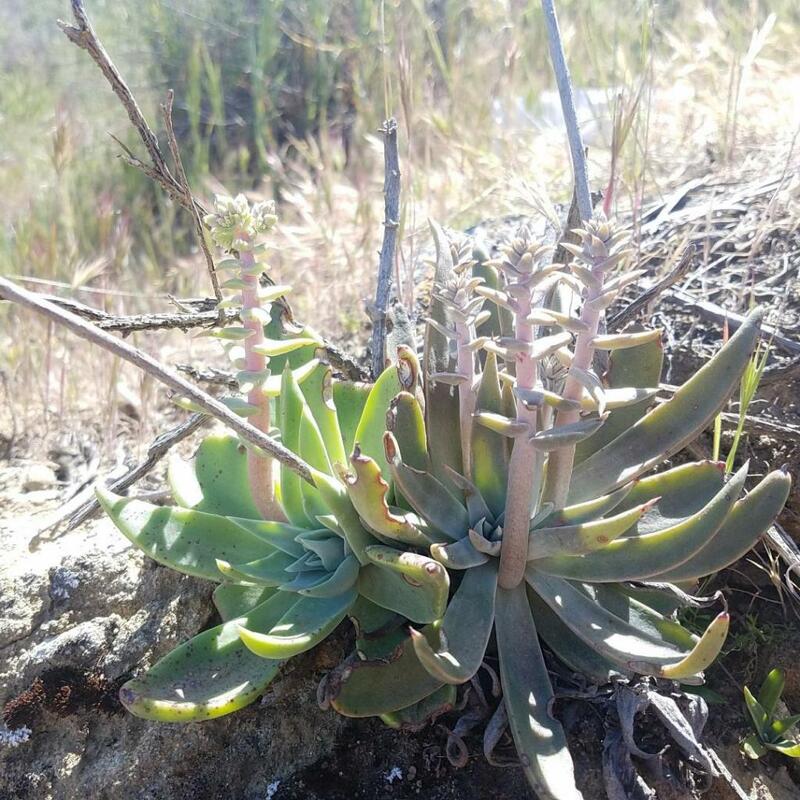 Josue: Thanks for sharing those wildflower images!! That was a treat. The Lupinus albifrons in my front yard likely won't be blooming for another month at least, compared to that beauty in your picture. 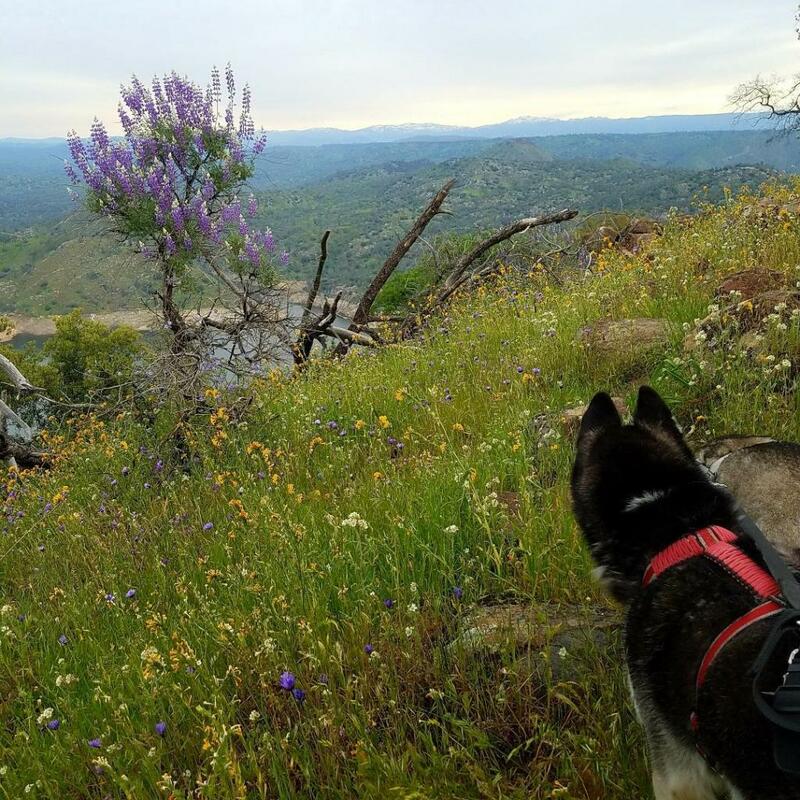 Even your pooch seems to be admiring it (or the view?). Wow. I'm over obligated through April and too sick at the moment to be interested in locking in a flight. Looks like with the latest downpours everything will be going off! 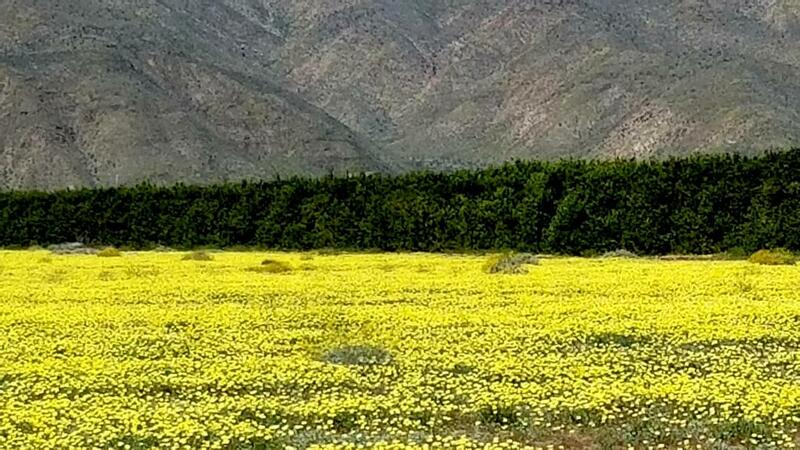 Well, after this week's rain / snow-pocolypse across most of Arizona, ..on top of recent, big storms across both CA and Arizona, A spectacular wildflower season is almost certain.. And almost every media outlet / various agencies also paying close attention this year across both states are signaling the same. While not mentioned before, I'd also add Texas to the list this year as both Hill Country / Big Bend region of W. TX, and Southern Texas have also seen good rainfall and several agencies who monitor conditions there are predicting what could be the best wildflower season across the state ( Esp. West / Southern TX.) since 2010. Recent stretch of warmer than average temps there may spur an earlier start to their season though. 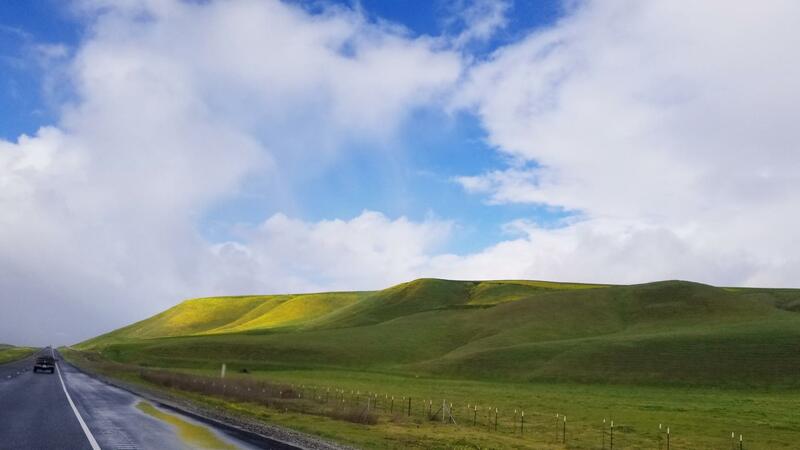 Now that we're starting what looks like an extended warm up, with maybe some (warmer) showers suggested in the forecast during the first 10-12 days of March, our already green deserts / foothills should really pop within the next 3-5 weeks. 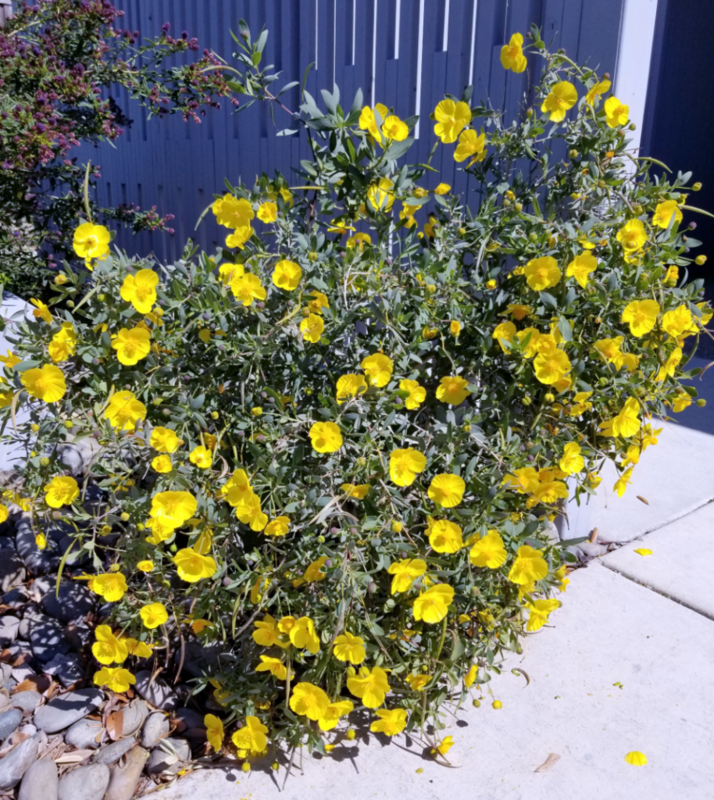 A report i saw last week is suggesting that some areas across both Phoenix and Tucson, which have been closely monitored since 2007, may see their best super bloom since at least that time, possibly since 2000. While out running errands yesterday, there were sizable spots in open desert areas near the house which, after the rains this week, were filled with shallow pans of water.. something you rarely see here. Id also watch the high country in both AZ and CA.. as well as in New Mexico, Colorado, and Utah.. All areas have also seen great rain /snow this season and could put on their own displays later on in the spring / early summer. Picked up a new day pack, and SD card for the camera.. Trips planned, Bring it on..
Color is popping up all over the coastal hills right now. 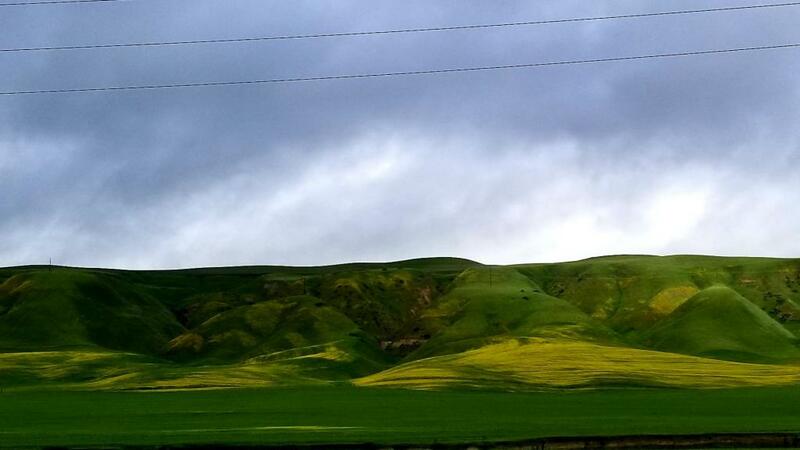 These are shots from along Hwy 41 between Fresno and Paso Robles. Texas is having the biggest bluebonnet bloom in many years. 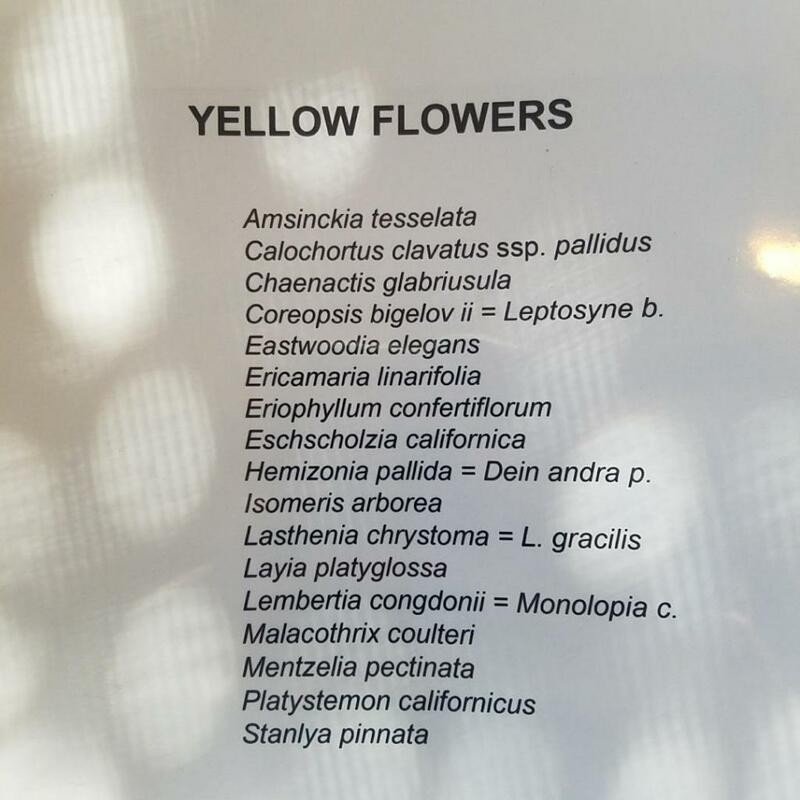 Info courtesy of the American Society of Plant Taxonomists. Yep, West Texas ( Big Bend Area ) is having a big year as well.. Wish i could make it out there. Trying to find a source for fresh seed of the "Bluebonnet" sp. 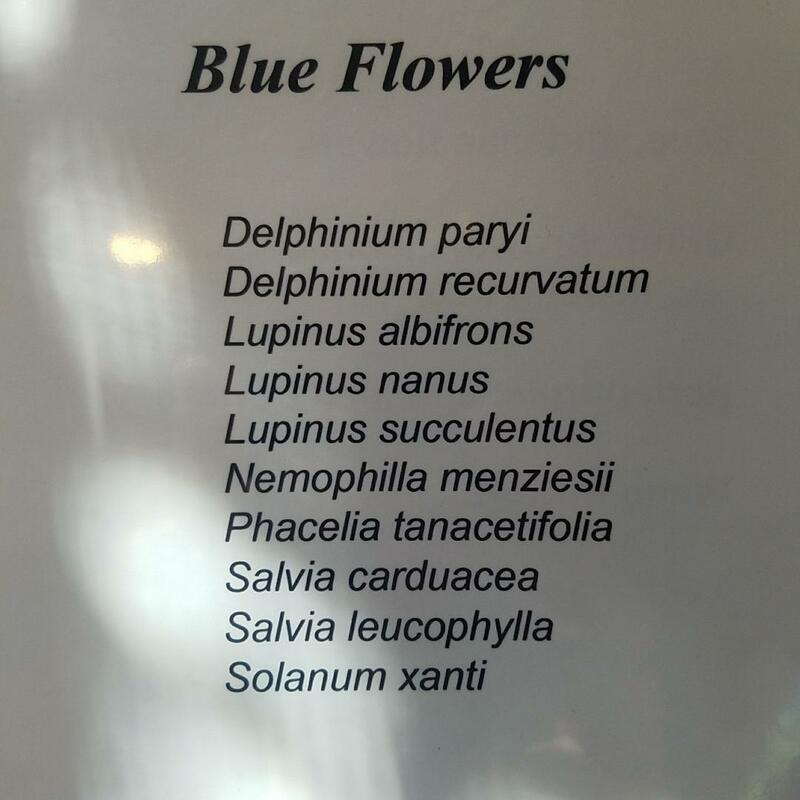 that grows in that region ( Lupinus harvardii ). 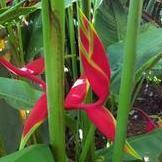 Very rare in cultivation though it supposedly has been grown for the cut flower trade in some areas. Similar to our native L. sparsiflorus but taller and flowers are said to be fragrant, more so than to our common species..
As mentioned in other threads, lots of color around here also, though lower elevation spots ( at least locally, where i have visited / re-visited ) aren't as "flowery" as hoped.. BIG displays atm are currently being seen around Riverside Co. in CA. ( Lake Elsinore, Chino Hills areas) and in Anza Borrego. Carrizo Plain, and the Poppy Preserve in Antelope Valley are just getting started..
Great photos, thanks! Rare to see that area so vividly green! Some roadside color from along route 187 just south of the house on the Gila Indian Reservation, just south of Sacaton, Arizona. Lots ..and lots of color through the pass here, and along route 87 which wraps around the West / Southwest side of the San Tans headed toward Coolidge AZ. 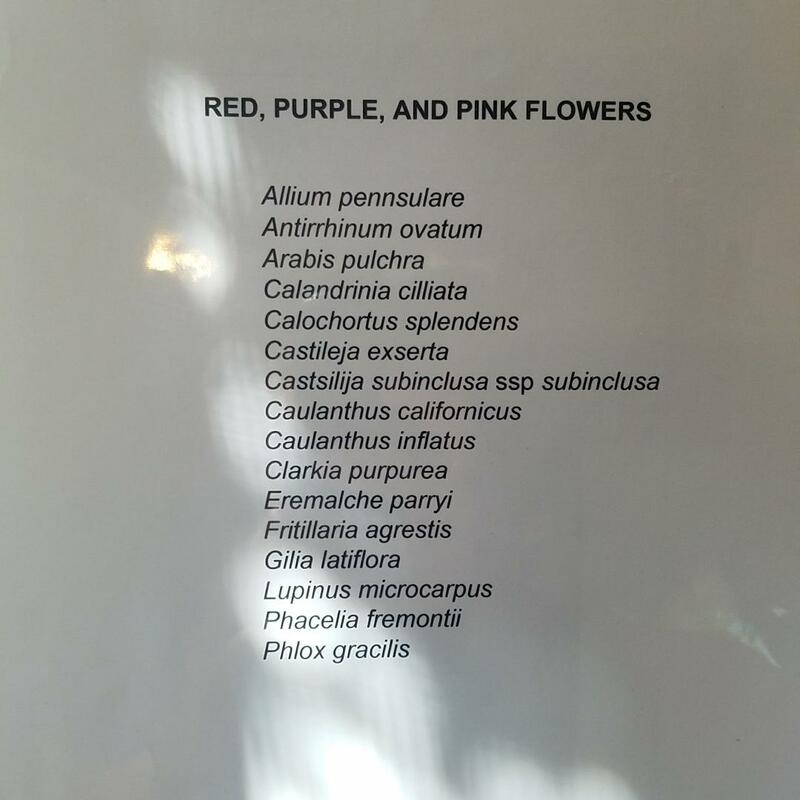 Had seen a post on the Desert USA Wildflower Update that this area was in color and headed out to see just how accurate the report was. No disappointment here. 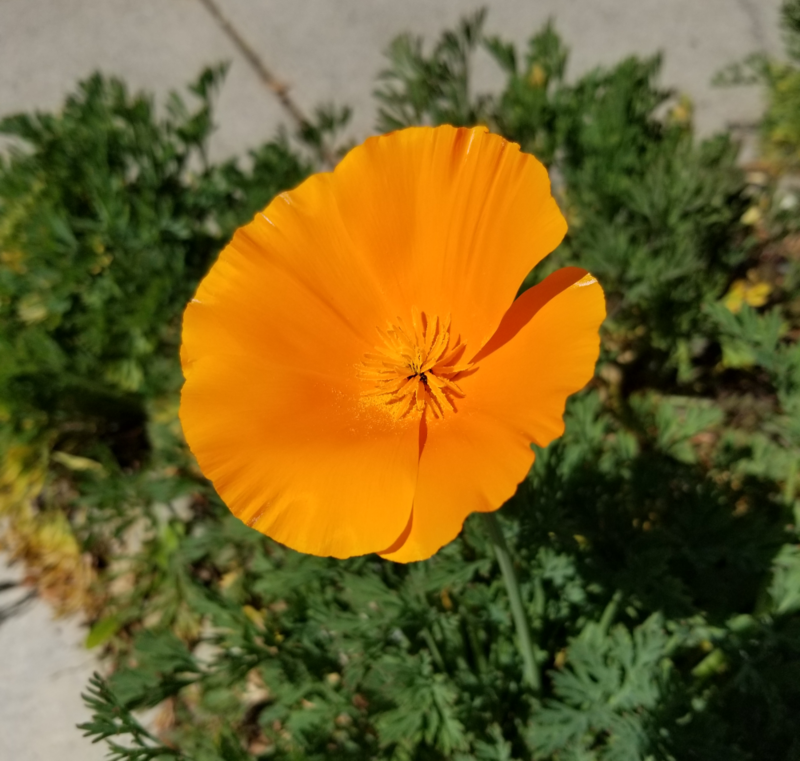 Other areas nearby, and along I-10 headed back into town were carpeted for as far as one could see in Orange Globemallow.. Not sure on the Species though. While pulling off any back road has it's hazards, the wide horizon here makes doing so a little safer. Area is also somewhat less traveled on the weekends. Sand Verbena (Abronia villosa) ..The motivation for the drive out here today. Coulter's Lupine ( L. sparsiflorus ) everywhere.. largest displays i have seen this year are in this area. Something you'd not expect encountering in the Desert ..Mushrooms. Species here is Desert Shaggy Mane (Podaxis pistillaris) with some Foothill Deervetch ( lotus sp.) below. Looks kind of weird popping up randomly all over the place in this area. West side view of the Malpias Hills from 7 miles west of the Park. Unfortunately, as far as i am aware, there is no access to this side of the hills. San Tan Mountain is the taller peak toward the far left. Nice, wide horizons along the road. "Years of tremendous wildflower blooms typically are really big painted lady years," adding that the last really big one was in 2005 with estimated billions of butterflies. Even in my area in Moreno Valley which basically translates to brown Valley is looking very colorful and a few days ago the had a massive number of butterflies moving through here. Since living in this area I haven't seen it look so awesome. 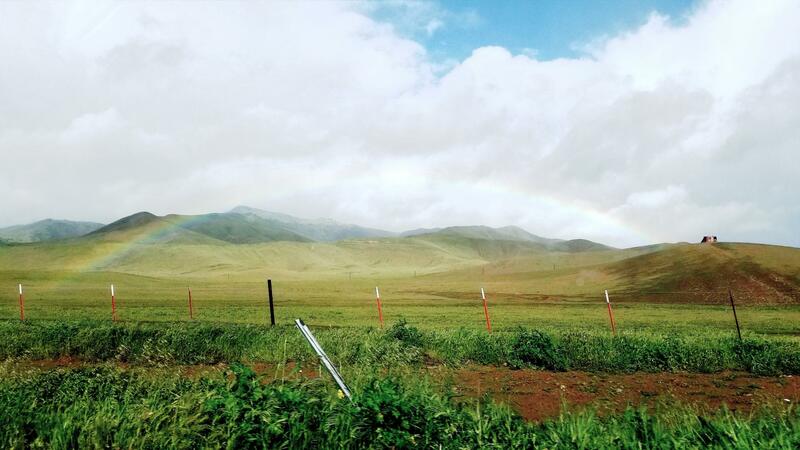 Everything is green, yellow, orange, and purple in the open fields and hills. We visited Borrego Springs State Park yesterday and there was some very nice flower color due to the recent rains. I was surprised at the large amount of visitors! All the more accessible trails and parking areas were packed, e.g. Palm Canyon, Hellhole Canyon, etc. The town, e.g. Christmas Circle area, was also packed. Glad we got there early! Out towards Coyote Creek (pictures below), the crowds thinned out a bit. 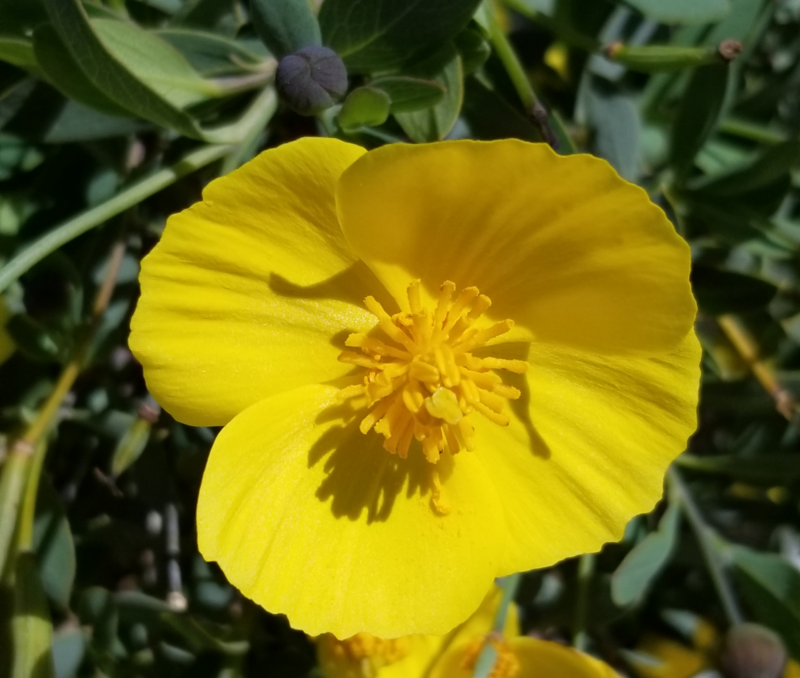 Spring Wildflowers: I took a (very) short hike to my front yard for these pictures of what's in bloom today: Dendromecon harfordii (Channel Island Bush Poppy), Eschscholzia californica (California poppy, Ceanothus "Julia Phelps" and Lupinus albifrons. 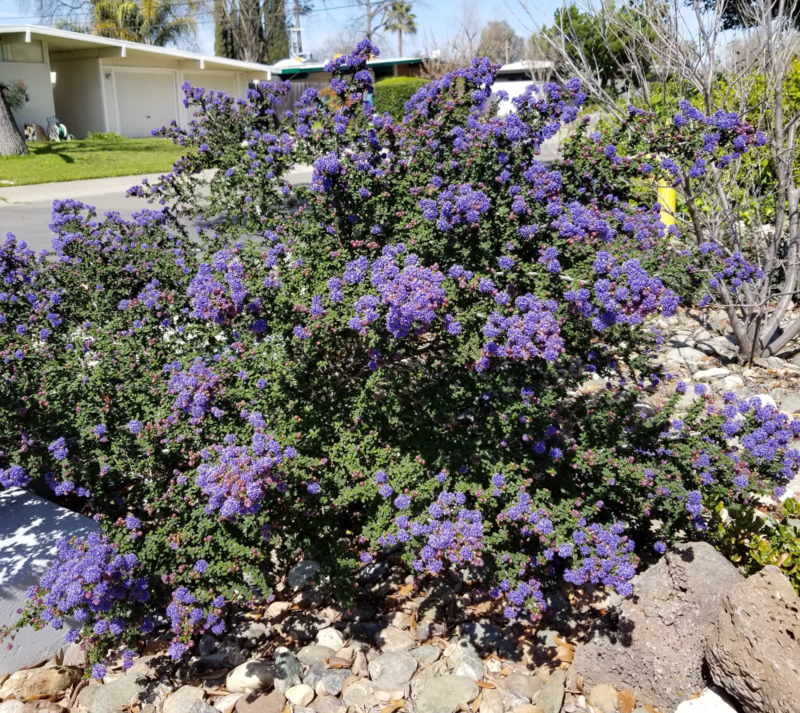 Happy to report the Ceanothus was being mobbed by honeybees. 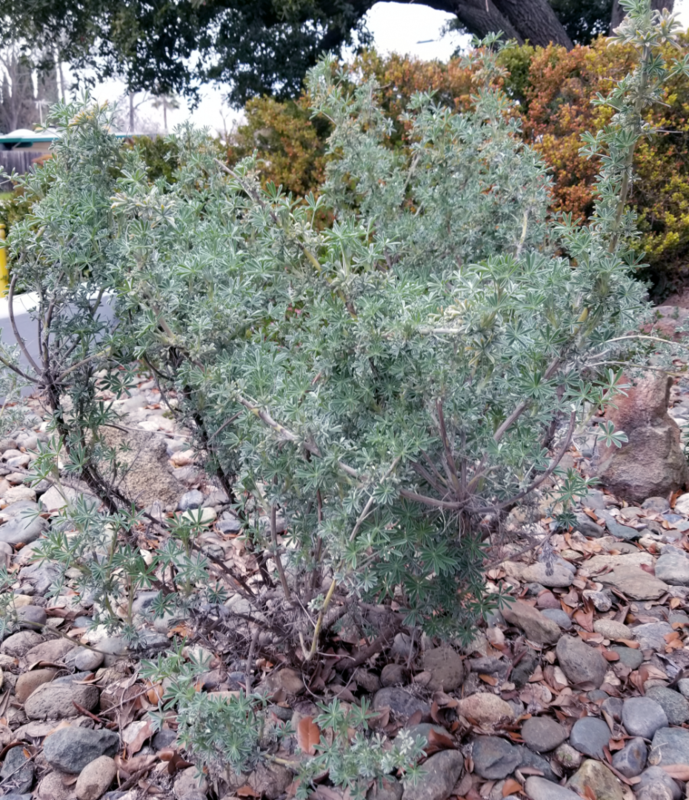 Some of my other front yard natives aren't in bloom yet, but the "show" is staggered and takes place over the next few months. 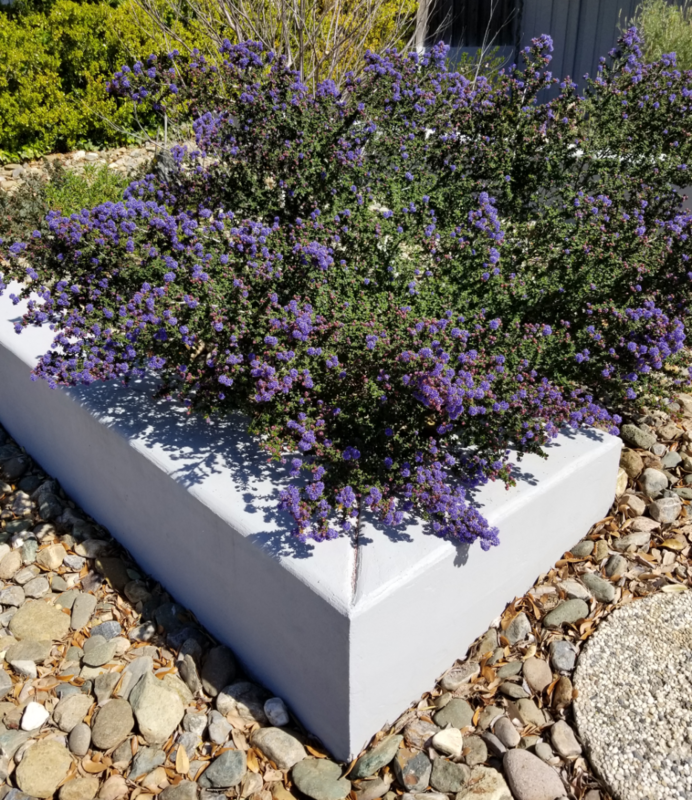 I'm trying to encourage my neighbors to try some in their own front yards, esp. those who've removed their lawns. 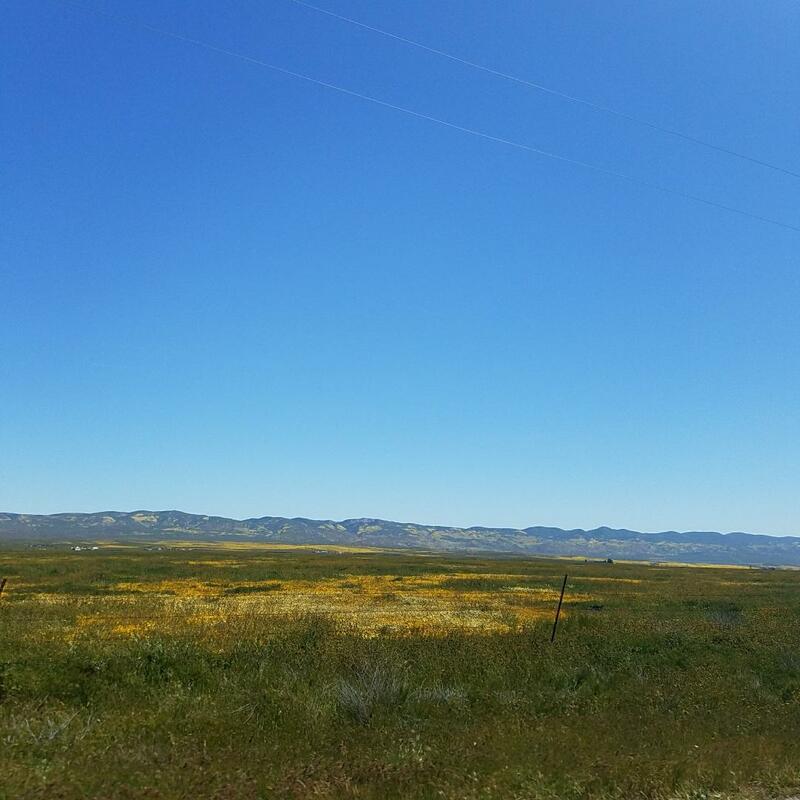 Went to Carrizo Plain National Monument Yesterday. Maybe another week or two before its in full bloom. Along the 79, you pass through true, Upland Sonoran Desert complete with extensive Saguaro, seemingly endless Chain Fruit Cholla Gardens and, as you get closer to Oracle Junction and the north / north-west face of the Catalina Mountains, large Yucca scattered over the landscape. A great alternative to the often busy ( and somewhat dangerous ..at least where it is only two lanes in each direction) I-10. While i knew i'd likely see plenty of flowers along the way to and from the park, still, i wasn't expecting the entire 42 Mile length of 79 between Florence and Oracle Junction to be carpeted in an almost un-broken garland of color along both sides of the highway. Lots of color along other spots such as Hwy 77, which heads east to Oracle, or west to Catalina, the park entrance, then on to Oro Valley & Tucson, & closer to home along Hwy 87. Many areas of the 77 near the park are a sea of blue in extensive fields of Lupine for as far as you can see along the roadsides and road cuts. Some pictures from roughly half way along the 79 on the way home, at the Tom Mix Monument. Saw a few spots with Prickly Poppy in bloom, just no places to pull over and get some pictures..
A shot of one of several extensive displays of Orange Globe Mallow along 87 near Sacaton AZ. This is a small display compared to a few others i have seen today / this spring here.